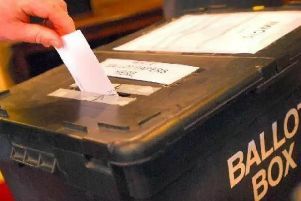 Voters in Peterborough are being urged to report election fraud in the city. Peterborough City Council is working closely with Cambridgeshire police to minimise the risk of election offences to ensure residents in Peterborough have confidence in the electoral system and feel able to use their vote freely without fear or intimidation. Residents are being asked to be on the lookout for suspicious activity that could indicate an election offence is taking place. • Someone asks to deliver your postal vote back to the council for you and it makes you worried. If you are suspicious or worried about anything to do with voting and elections you can report it to the election fraud hotline on (01733) 452277 or to the police on 101. If an incident is in action call the police on 999.